One of my challenges this month at My Scraps and More is a color challenge. 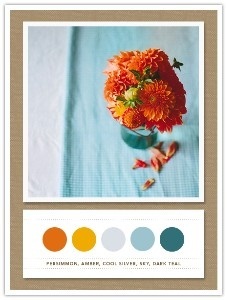 I chose this palette to create a LO from. Echo Parks new All About a Boy line is just perfect with this color combo and I used a sketch from Scrap the Boys to create this page about Austin's 7th Birthday. Love that color combination, Tracy, and your layout is wonderful! Beautiful colour choice! I love how you have taken on the sketch! Love the use of twine here!